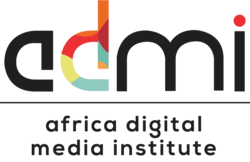 Based in Nairobi, Kenya, the Africa Digital Media Group comprises the Institute, Studios and Foundation. The Institute (ADMI) is Eastern Africa’s premier creative arts, media and technology training institution. The Studios produce compelling African stories and games to engage audiences worldwide. The Foundation mobilizes capital, talent and other resources to support the engagement of Africa’s digital generation in the fast-growing, global creative economy. ADMI and its affiliates form an innovative social enterprise through which the next generation of digital professionals and creative entrepreneurs get the training, mentorship and platform they need to turn their passion into a profession.